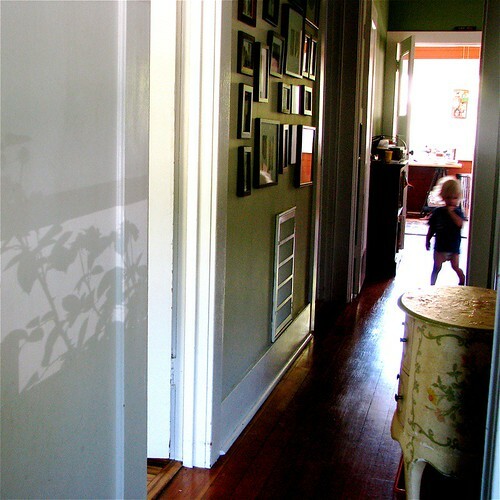 oh gosh i love this, the shadows and the photos on the wall, the little one, the sunlight. it’s all so real and good. That is so lovely! I’d be tempted to use that as a template and paint it on the wall. I love seeing little boys in just their tshirt and diapers — my 16 month old, Jack, is as close to naked as I can keep him so that I can witness as much baby flesh while it still lingers in this chunky stage. Thanks for the morning dose of pretty — it always starts my day off right.